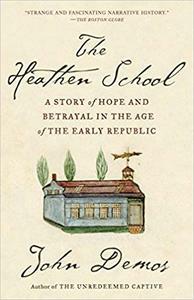 John Demos, "The Heathen School: A Story of Hope and Betrayal in the Age of the Early Republic"
The astonishing story of a unique missionary project—and the America it embodied—from award-winning historian John Demos. Near the start of the nineteenth century, as the newly established United States looked outward toward the wider world, a group of eminent Protestant ministers formed a grand scheme for gathering the rest of mankind into the redemptive fold of Christianity and “civilization.” Its core element was a special school for “heathen youth” drawn from all parts of the earth, including the Pacific Islands, China, India, and, increasingly, the native nations of North America. If all went well, graduates would return to join similar projects in their respective homelands. For some years, the school prospered, indeed became quite famous. However, when two Cherokee students courted and married local women, public resolve—and fundamental ideals—were put to a severe test. The Heathen School follows the progress, and the demise, of this first true melting pot through the lives of individual students: among them, Henry Obookiah, a young Hawaiian who ran away from home and worked as a seaman in the China Trade before ending up in New England; John Ridge, son of a powerful Cherokee chief and subsequently a leader in the process of Indian “removal”; and Elias Boudinot, editor of the first newspaper published by and for Native Americans. From its birth as a beacon of hope for universal “salvation,” the heathen school descends into bitter controversy, as American racial attitudes harden and intensify. Instead of encouraging reconciliation, the school exposes the limits of tolerance and sets off a chain of events that will culminate tragically in the Trail of Tears. 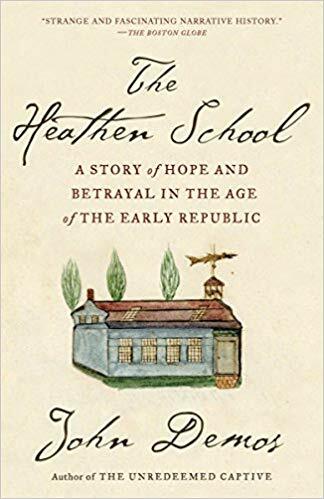 In The Heathen School, John Demos marshals his deep empathy and feel for the textures of history to tell a moving story of families and communities—and to probe the very roots of American identity.